BANGKOK — A private American collector has returned a dozen ancient artifacts to Thailand as the Southeast Asian country presses for other treasures that were taken abroad to be given back. Culture minister Vira Rojpojchanarat said the artifacts were given by Katherine Ayers-Mannix to the Thai Embassy in Washington, D.C., which shipped them back to Thailand. 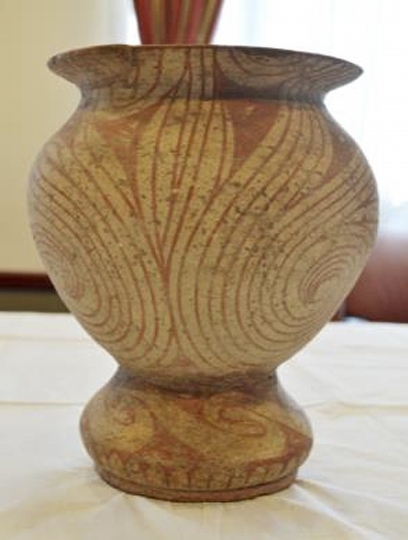 The items are believed to have mostly come from a prehistoric civilization dating back more than 4,000 years that was centered around Ban Chiang, in what is now Thailand's northeastern province of Udon Thani. Vira, speaking Thursday at a news conference in Bangkok, said Thailand is seeking the return from museums in the United States of other items that were taken illegally from the country, and has been gathering evidence to back its claims. Thai officials have been tracking artifacts such as nine ancient Buddhist relics that are on display at the Norton Simon Museum in California, as well as 17 other relics on display at the Honolulu Museum of Art in Hawaii. He said 14 out of the 17 items in Hawaii have been confirmed to have Thai origins, and that information has been forwarded to the U.S. Department of Homeland Security as part of Thailand's quest to have them returned. Anandha Chuchoti, director general of Thailand's Fine Arts Department, said Thai officials are also providing evidence to prove that two ancient lintels on display at the Asian Art Museum in San Francisco were stolen from ancient temples in Thailand's northeastern provinces of Buriram and Sa Kaeo. "We want to send (information) to confirm that these lintels have Thai origins and had made their way out of the kingdom illegally," Anandha said, adding that the two lintels are no longer on display as the claims and effort to recall the items are being considered. 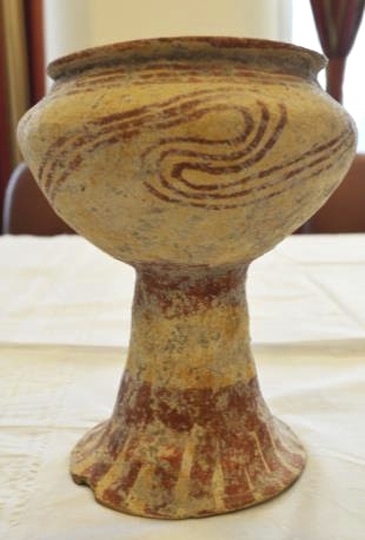 The U.S. government in 2014 returned 554 ancient artifacts, mostly pottery, that had been taken from Ban Chiang, which is a UNESCO World Heritage Site. The pieces were recovered in a 2008 raid on the Bowers Museum in Santa Ana, California, which agreed to return the items to Thailand in exchange for none of its staff facing criminal charges. The raid was part of a multiyear investigation in which three other California museums and two private art dealerships were also raided. Several people accused of being part of a network smuggling art from Southeast Asia were arrested. Diver Haven is brought to you by a team of tech-savvy diving enthusiasts. Diver of all walks of life be it recreational to professional, scuba or freedivers are always welcome. Copyright © 2015 - 2019 Diver Haven. All Rights Reserved.